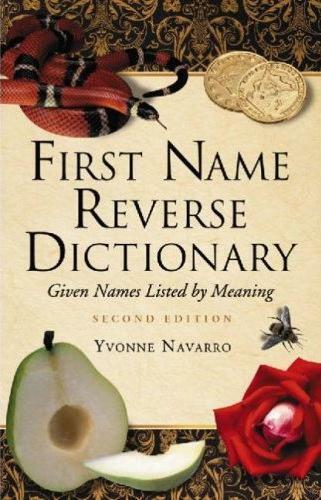 This innovative dictionary, created for writers and parents alike, allows you to find given names which relate to a specific meaning. Arranged alphabetically by definition, the names are followed by the language of origin, variations (derivatives, diminutives and nicknames) of the name itself and the name as interpreted in different languages. Separate sections are included for male and female names, plus a full index. Using the dictionary, you could discover that there are 160 different names listed for "flower", from Anthea (Greek) to Zahara (African). Copyright © Yvonne Navarro. All rights reserved.